To inform others of the highly medicinal qualities of hemp & marijuana & to change the existing legal barriers against our right to possess & partake of this most sacred of all plants! 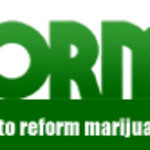 Check NORML's Action Alerts for current actions in your state and we'll help you connect with your representatives. "He who looks outside dreams he who looks inside AWAKES!" 3 years ago (56 replies) | Hot! Care2 News Note-It -MEMBERS PLS. NOTE! Fresh Chat - Come say HIGH!!! 9 years ago (83 replies) | Hot!